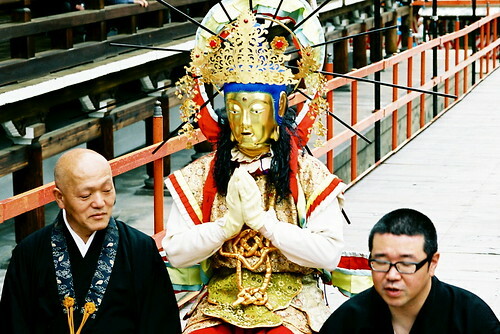 The Manbu-Oneri (万部おねり) ceremony takes place at Dainenbutsuji temple in Osaka’s Hirano ward between May 1st and May 5th and depicts the ascension of Buddhist saints to paradise. 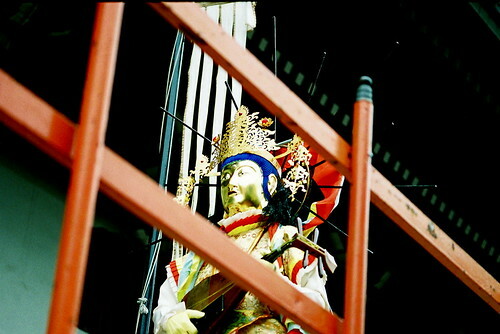 The parade involves — in addition to hundreds of priests and community members — 25 monks who don golden Buddha costumes and walk slowly across a bridge that leads to the temple itself. 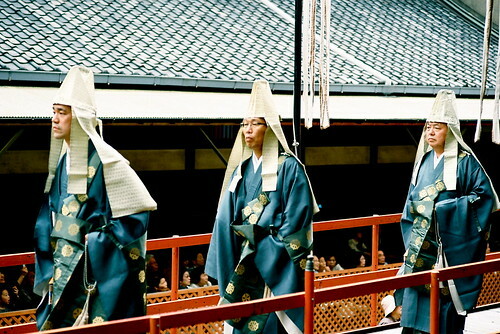 The journey across the bridge represents the journey from this world to the next, the Buddhist nirvana. 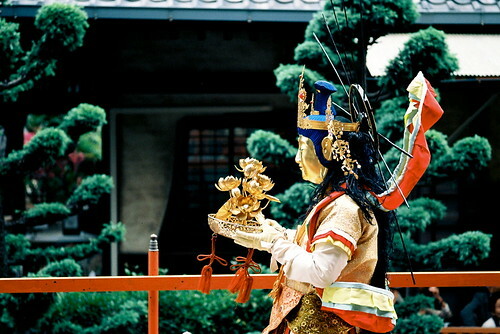 Dainenbutsuji is the head temple of the very interesting Yuzu-nenbutsu sect of Japanese Pure Land Buddhism, founded by Ryōnin (良忍) in the early early 12th century. 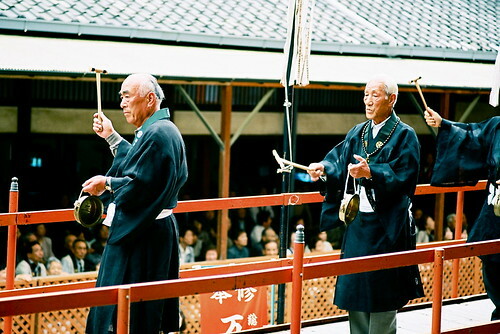 The ceremony at Dainenbutsuji — which lasts several hours and is accompanied by ritual chanting and music — dates from the 14th century. 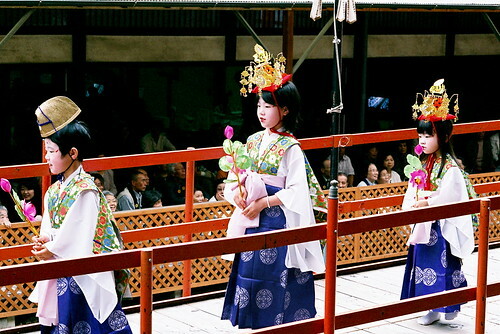 Since May 5th is Children’s Day in Japan, a few elements related to this national holiday have been incorporated into the ceremonial parade, including a contingent of young children bearing golden crowns and lotus blossoms.